Have you ever noticed someone who puts in hours on the treadmill day after day, month after month and they never seem to look any more fit? If you don’t want this to happen to you, you’ll need to learn some of the basics about nutrition and the part it plays in achieving your fitness goals. 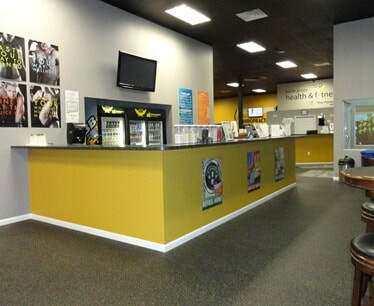 We want to provide you with the best workout experience you could hope for and teach you how to achieve Total Fitness. Exercise is only part of the equation in Total Fitness; Nutrition is just as important, if not more so. Putting exercise and nutrition together is the key to accomplishing your goals quickly and with less effort. Timing the meal before your workout is the key to staying fueled-up for the exercise. Your pre-workout meal should occur 2-3 hours prior. This gives your body ample time to digest and convert all of the carbs in this meal to glycogen. While working out, your body utilizes glycogen better than recently ingested carbs, fueling your workout more successfully. By most accounts, the post-workout meal is the most important meal of the day. Skipping this meal can skew your metabolism and effectively cause you to waste your efforts. Exercise can exhaust your body’s glycogen, causing your system to immediately want to restore its energy supply. The first place your body looks for energy is in your GI tract. If it can’t find any protein or carbs there, your body begins to feed upon itself by converting muscle tissue into glycogen. A quick post-workout feeding can give your body the calories it needs to have enough energy to re-fuel itself. Additionally, consuming a liquid fast-digesting drink within 30 minutes of completing your workout takes advantage of your body’s accelerated state of repair, since your body converts glycogen at twice the normal speed within that time period. A time saving Recovery Shake with a ratio of three parts carbs and one part protein is a perfect choice.